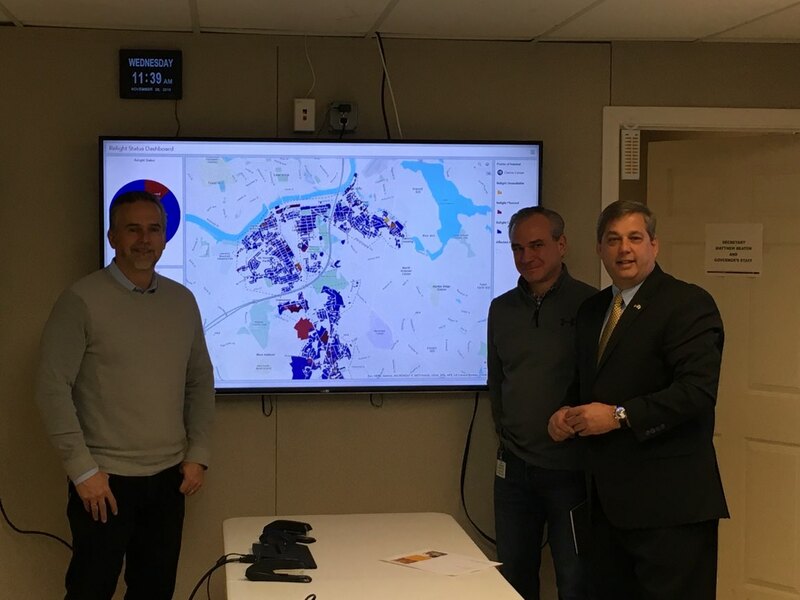 I had a briefing today at the Command Operations Center on the recovery efforts taking place in Lawrence, Andover and North Andover following the September 13th Columbia Gas gas line events which sparked explosions, fires, and the interruption of services to thousands. 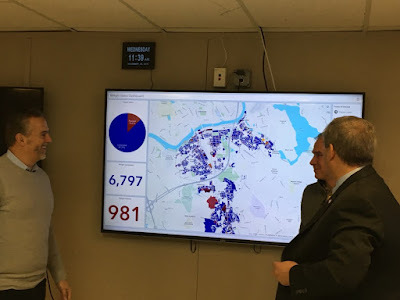 Joe Albanese is the Chief Recovery Officer for the recovery effort, he reports to the state's Department of Public Utilities and Executive Office of Energy and Environmental Affairs. The gas service restoration date is December 16. There are currently two critical steps remaining in the restoration process for each household or business: Becoming ‘House-Ready’, followed by ‘Re-Light’. To date, 6,263 residence, or 85%, have been made 'house ready'.